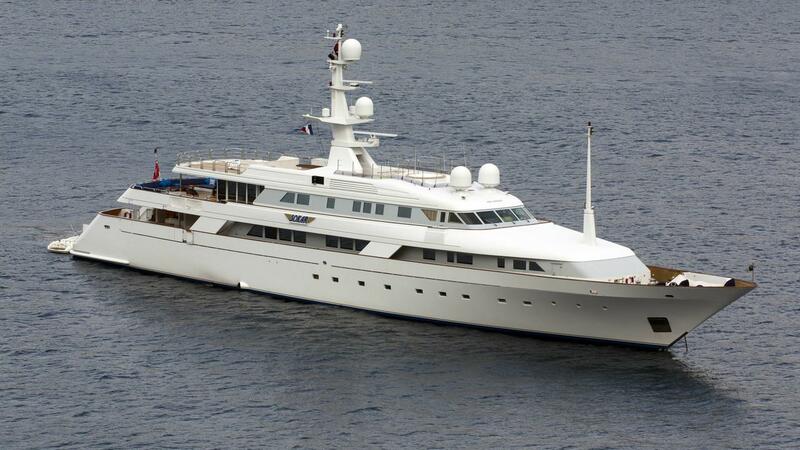 SOKAR is a 63m luxury superyacht built by Codecasa and delivered in 1990, with two extensive refits in 1997 and 1999 at the Abeking & Rasmussen. 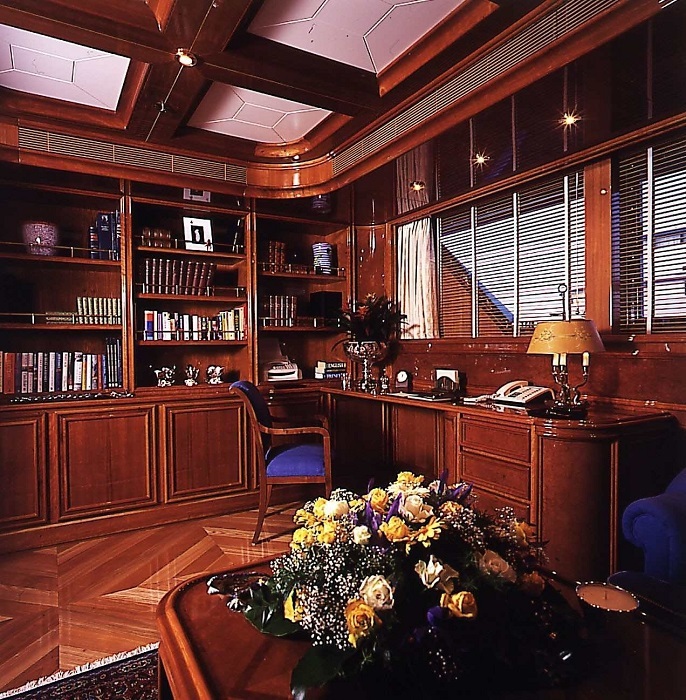 Superyacht SOKAR (ex Jonikal) was designed by Vincenzo Ruggiero and represented one of the most luxurious and striking luxury yachts at her launch. 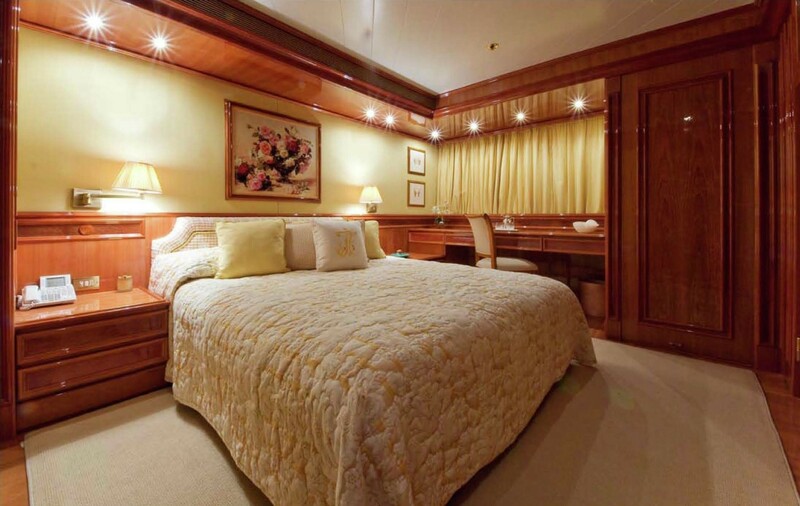 She can accommodate up to 18 guests in 9 comfortable staterooms. 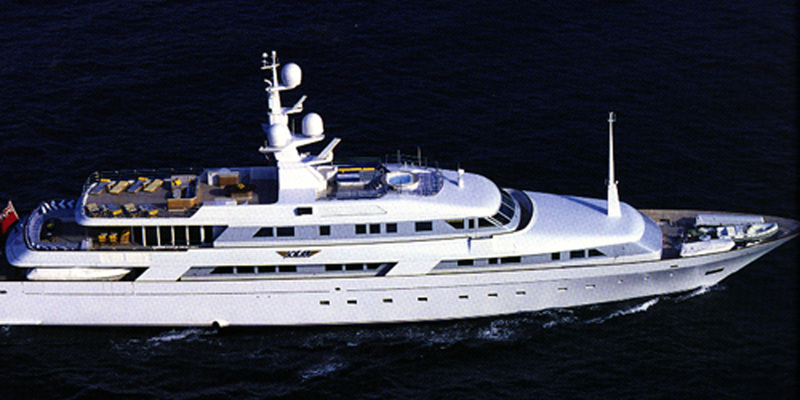 SOKAR yacht features beautiful lines and excellent build, she is characterised by elegance, style, power and strength. The spacious main saloon provides excellent possibilities for socialising and entertainment, with comfortable seating areas, which include three settees, a round games table and the bar. 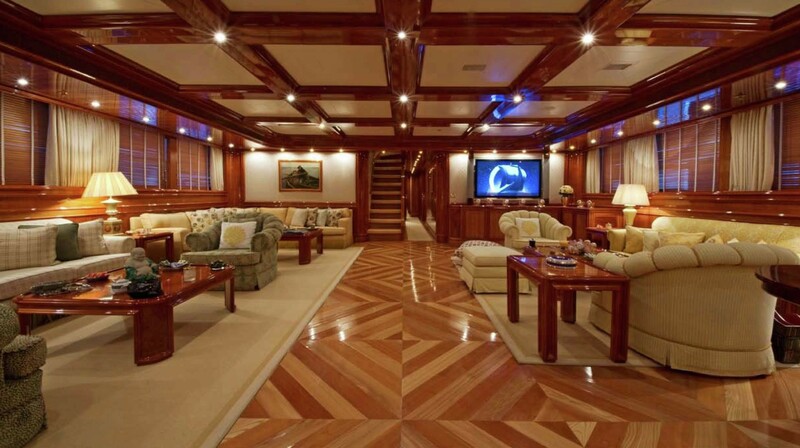 There are convenient sliding doors providing access to the aft section of the boat deck with stairs leading to the swim platform or the passerelle when in port. 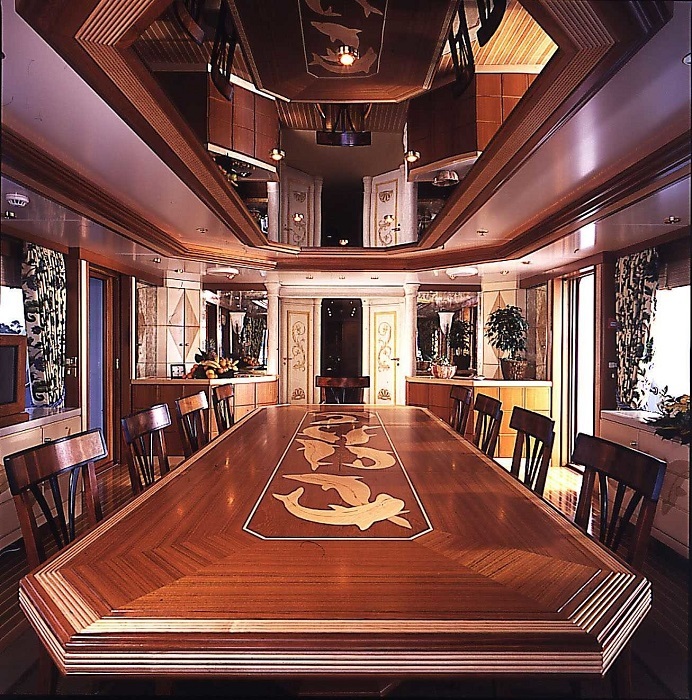 The dining saloon features large full-height windows, offering fantastic views and plenty of natural light. This area is fully air-conditioned, although large doors open for fresh air if required. 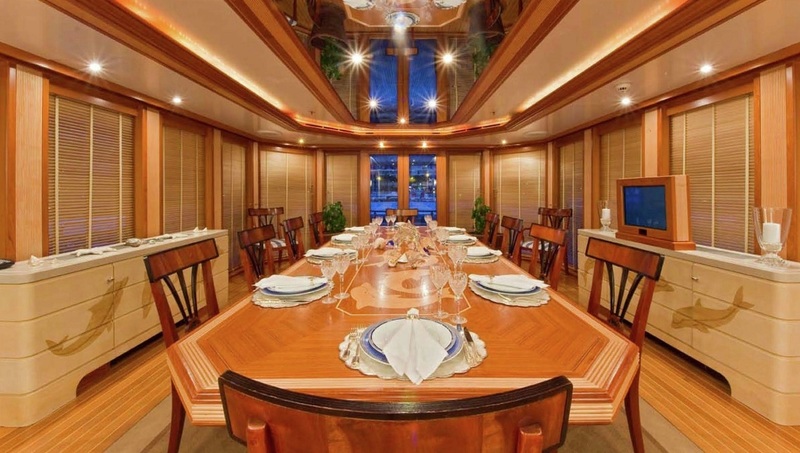 The dining table offers seating to 8, 12 or possibly 14 guests. 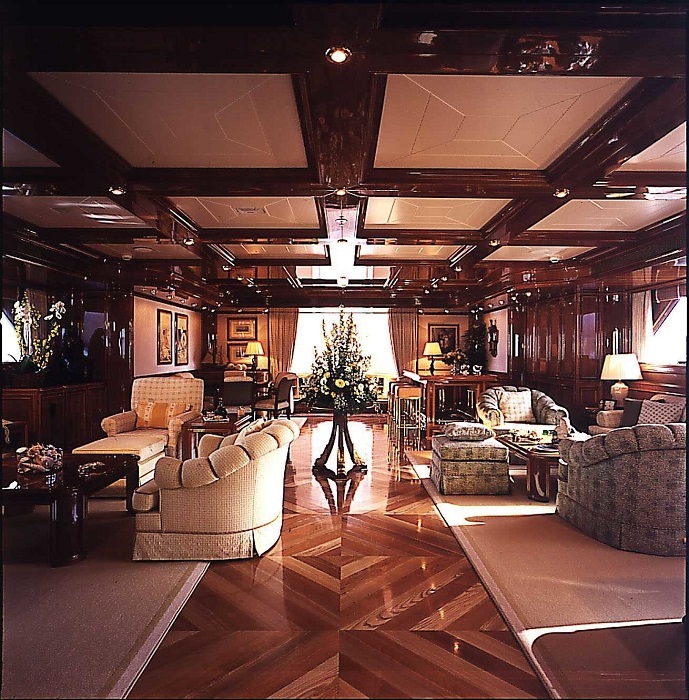 Moving from the dining saloon through electric sliding doors there is a spacious and comfortable, partially shaded alfresco deck area. Stairs on either side of the dining room lead to the huge upper sundeck, which makes an excellent and private sunning area. The Spa Pool is forward with sun cushions on either side. 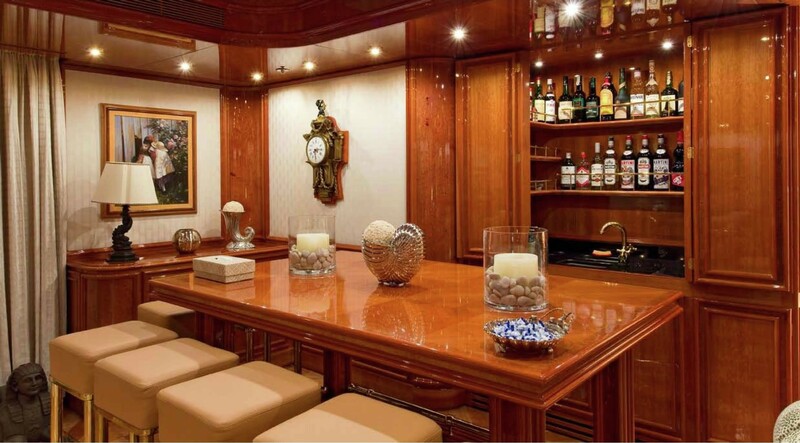 There is a wet bar and barbecue along with fridge and ice storage. Further aft a large dining table with sunshades provides for fantastic al fresco dining with panoramic views. This aft area can also be cleared to allow helicopter landings and take offs. 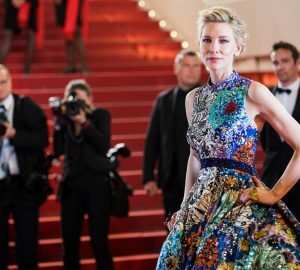 The furniture can all be re-located forward and the rails fold outwards. 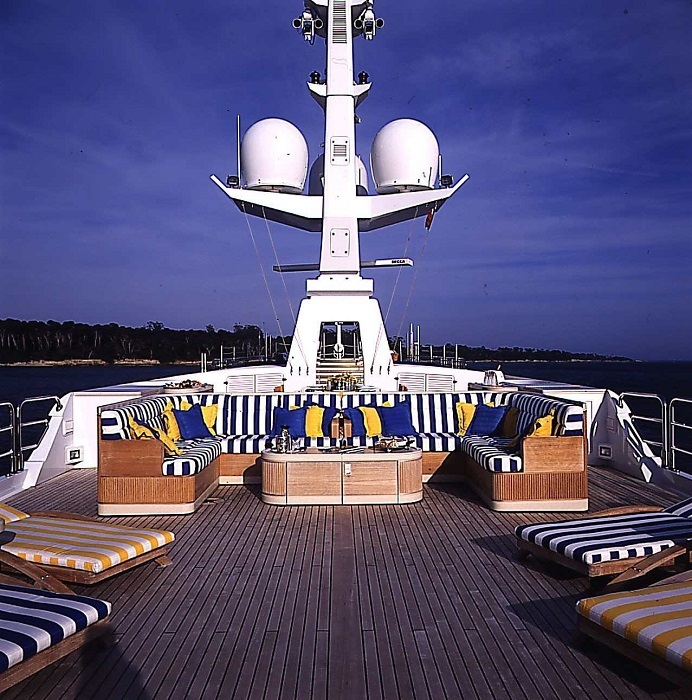 This deck is fully equipped with landing lights and foam fire fighting, etc. for helicopter operations. 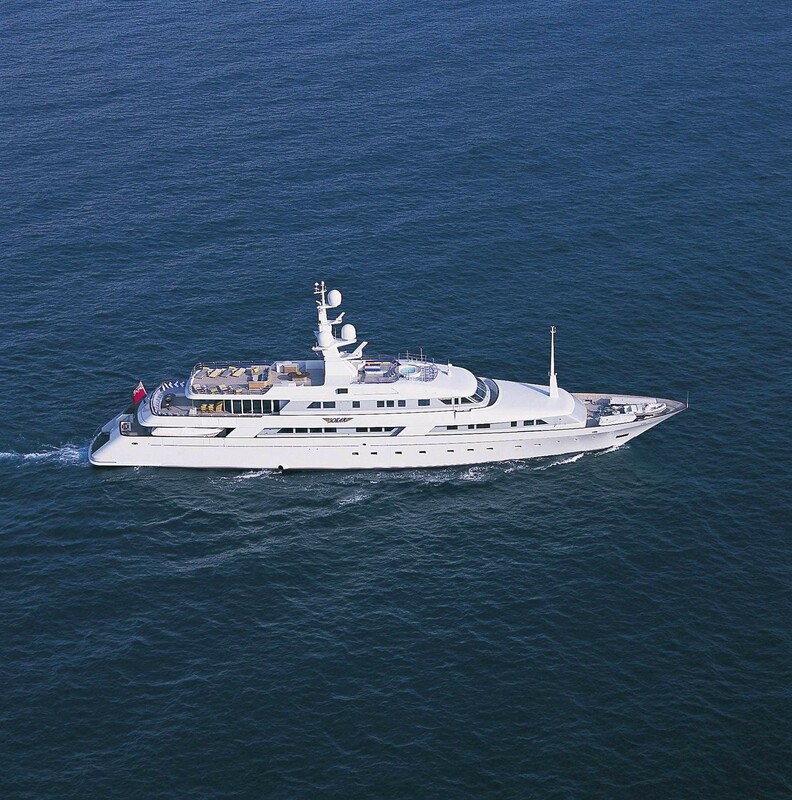 SOKAR also boast a wide range of water toys and yacht tenders for guests’ comfort and entertainment. 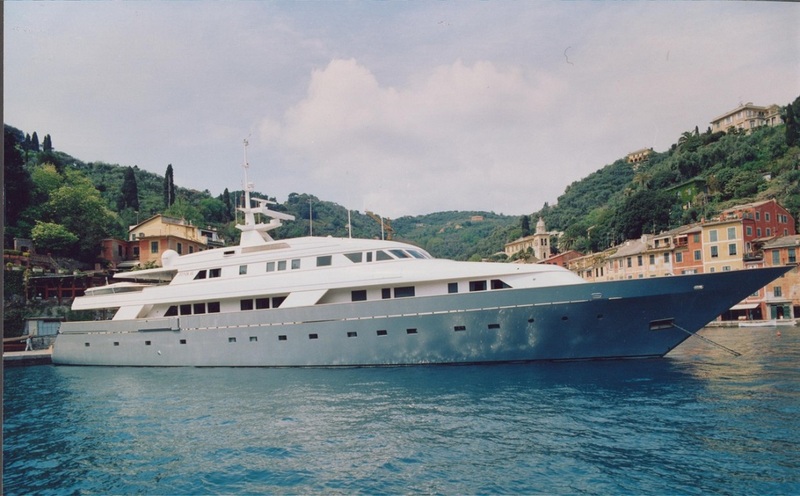 Her extensive refit included extending the yacht by five metres and improving or renewing her paintwork and machinery, emergency and safety equipment. 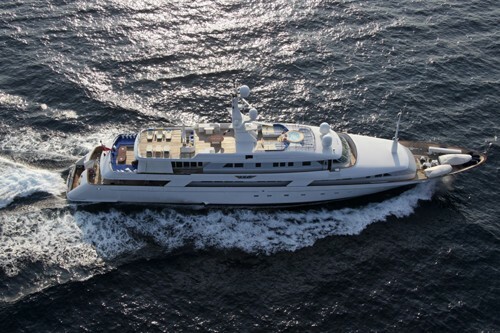 She is built with a steel hull and aluminium superstructure, cruises at speed of 18 knots and attains top speeds of 20 knots. 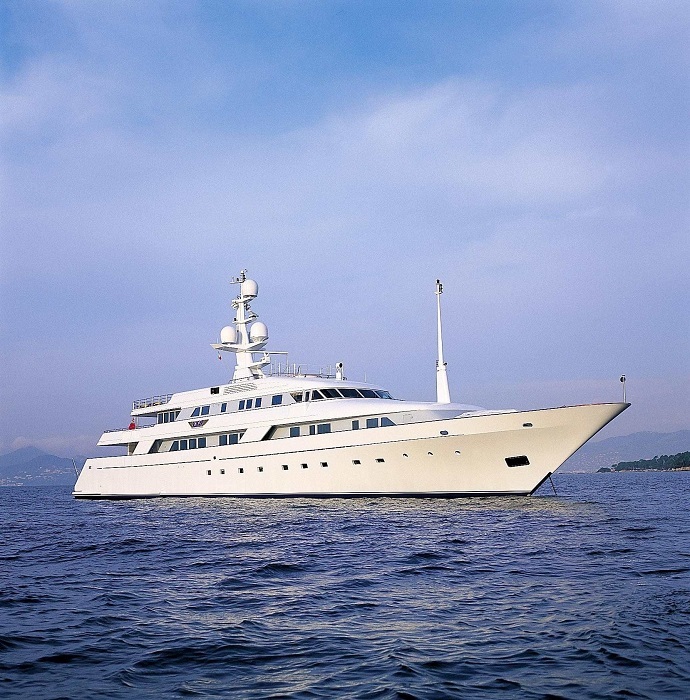 Accommodation aboard this fantastic yacht is provided to 18 guests in one Owner suite and eight double guest staterooms. 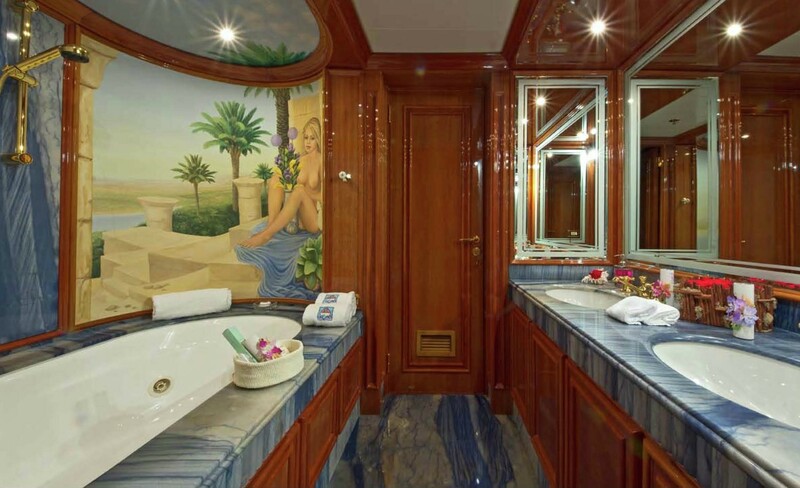 All staterooms are equipped with en suite facilities. 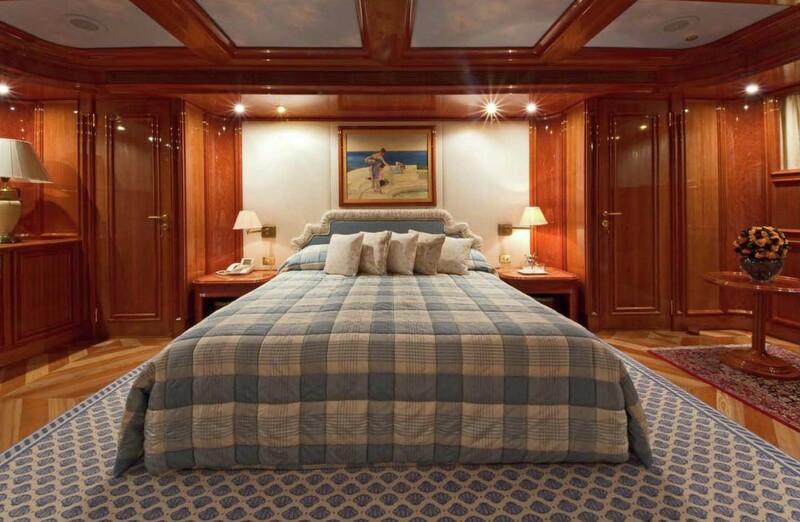 The Owner stateroom features a king-sized bed and two large wardrobes, one separate dressing room, one private bathroom with twin sinks, as well as a Spa Pool bath and a shower. 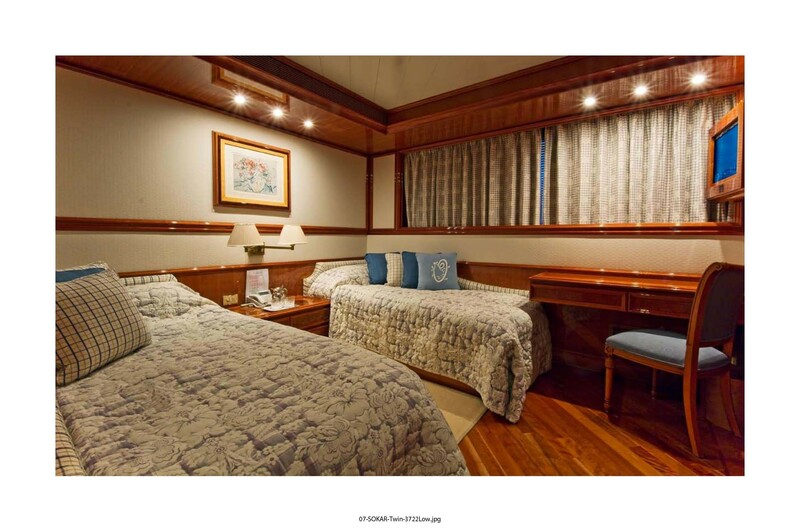 SOKAR’s guest accommodation is represented by two double cabins with a Queen sized bed and en suite shower room; four twin cabins with an extra Pullman bed and en suite shower/bath room; two single cabins with a Pullman bed, sofa bed and en suite shower rooms; and additional four single cabins with Pullman berths and en suite shower rooms for the staff. 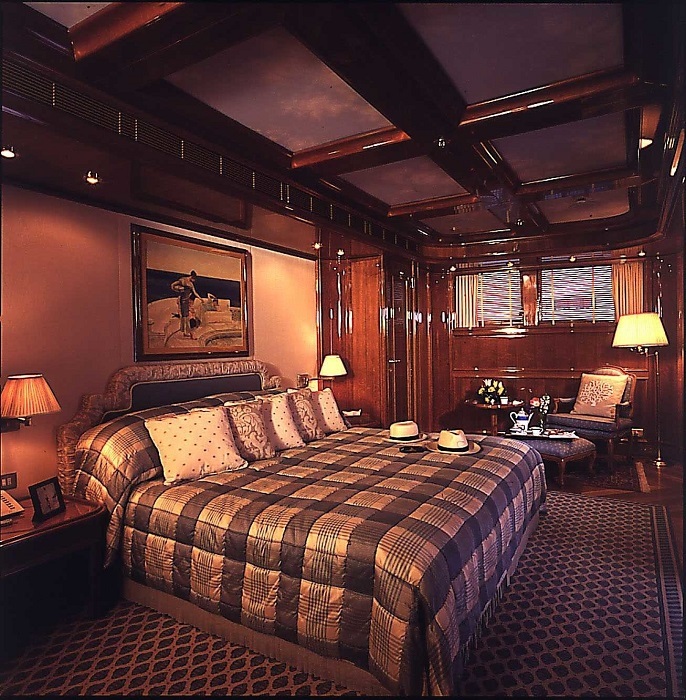 Crew accommodation includes one double Captain’s cabin with a Pullman bed and en suite shower room, one double Chief Engineer’s cabin, six twin crew cabins and one single crew cabin, all with en suite showers. 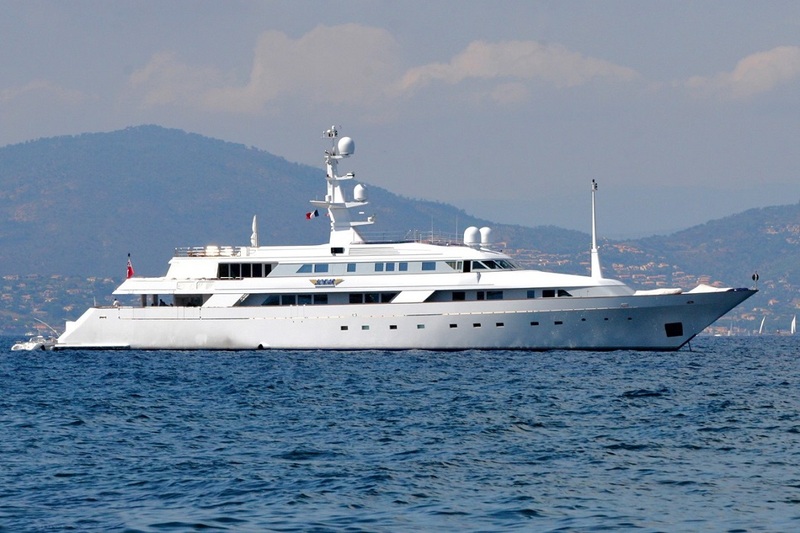 A wide range of water toys and yacht tenders can be found aboard SOKAR to facilitate guests' comfort and provide entertainment.